Translation Services This inTense week is the best week I ever experienced in the Netherlands. Opting for ‘full immersion’ means that from early in the morning until late in the evening, you are surrounded by the language that you wish to learn. What’s more, you start to communicate in the language from day one, even if you had no knowledge of the language prior to starting the programme. You are flooded with a continuous stream of the language that you wish to learn, as it were – hence the expression, full immersion. In order to be able to achieve full immersion, it is essential that you can submit to the training programme in the absence of any considerable distractions. 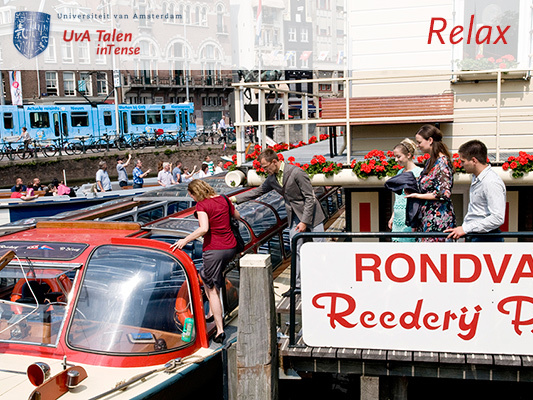 For this reason, during the training programme, you stay with the other participants in a comfortable hotel in the centre of Amsterdam. Lessons may take place at UvA Talen or at this hotel. Every day, however, there are also one or more excursions to the many wonderful attractions that our beautiful capital city has to offer. 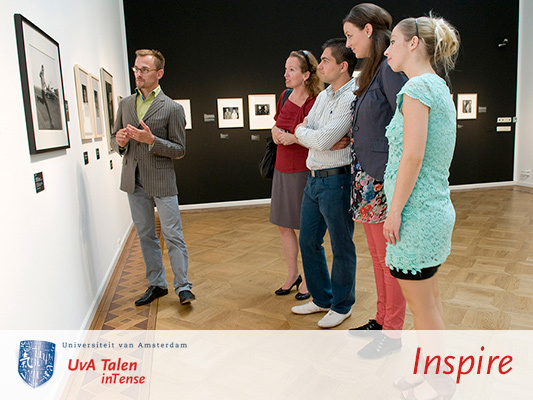 In this way, you can learn with ease while you discover Amsterdam – and vice versa! We realise that not everyone is able or willing to clear their schedules for a number of consecutive days in order to follow an intensive language course. 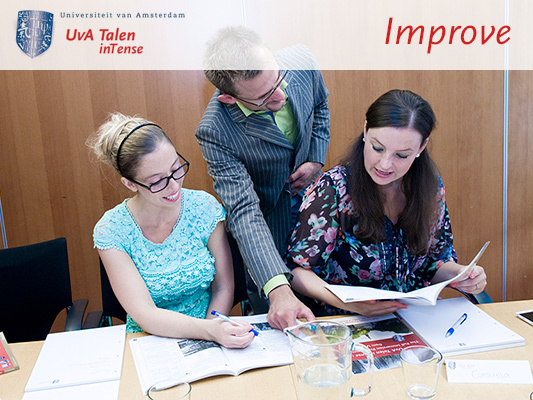 For this reason, UvA Talen’s inTense programme offers a few variations on the full immersion method. These also give you the option of overnight accommodation in the hotel. We also offer various ways of enhancing your training programme with an extended stay in our hotel in the heart of Amsterdam. For example, after the training programme has ended, you can stay for a long weekend to explore the city further. Of course, we also make it possible for someone else, such as your partner, to join you at this point! In the menu opposite, you can read more about the different programme variations and accommodation options.